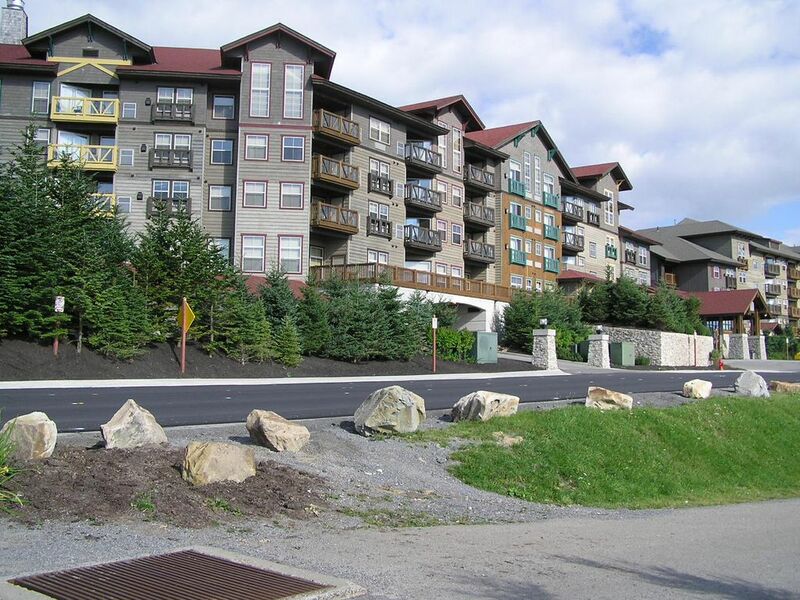 Privately owned 1 bedroom condo located in Rimfire Lodge, the heart of Snowshoe's mountaintop village. Condo sleep 4 and offers a spectacular western mountain views with fantastic sunsets, gas fireplace, full kitchen, and much more. A minimum deposit of 50% rate is required to secure the reservation. The balance is due at least 30 days prior to check-in date. Units provide great views of the valley below and the surrounding mountains. Rimfire is in the village of Snowshoe Mountain Resort and is next to the Skidder and Ballhooter Lifts. Rimfire is adjacent to the Brigham Center which is the shuttle bus station to Silver Creek. Coin operated located on the fourth floor. Underground parking with 65 degree temps, overflow parking available across the street. Internet connection and Wi-Fi in unit. Flat screen TV above the fireplace in Living room. Master bedroom also has a flat screen TV. Everything worked and was as described in the ad for the Unit. The owner called to make sure everything went smoothly on the first day. A nice touch. Although we don't ski, there were plenty of other options within walking distance. The only glitches were the check in process but that's on Snowshoe and not the unit. Also a little noisy as people clunk around in ski boots but it is a ski resort and not severe enough to change the five star rating. An excellent spot and well equipped unit. Good location within the village. Unit was very clean and as depicted in description and pictures. Sunset view was also nice. Sofa bed was...well it was a sofa bed. Not great, not terrible - it was ok. Movie collection was a plus. Kitchen was well equipped. Would definitely stay here again. Loved being in the village next to all of the restaurants & lifts. Be careful in the garage if you have an SUV & ski racks...I now only have 1...oops! It was nice. Really liked having the parking garage. I would stay there again. Great location, studio room was clean, and nicely decorated. The property was perfect for a great weekend of skiing. Great location , close to the slopes, restaurants and shops. Amenities like hot tubs, ski lockers, parking was perfect. Studio room was clean, and well maintained. We had a problem with the keys and access all weekend. After checking in the key worked great for entry into the room and parking but later wold not work for access back into the building. Then on Saturday upon returning from dinner the key would not work for entry into the building or the room. We had to walk to another location to key the keys fixed. Upon return to the room we found out the owner had double booked the room and our keys had been turned off. The situation was quickly resolved after phone call with the owner. Would definitely stay at the property again in the future. Thanks for the nice comments about our condo. Sorry for the issues with the keys. This is being addressed this summer, when all the locks in Rimfire will be replaced. Cancellations and Refunds: Cancellations made 60 days or more prior to check-in shall be subject to a $50 administration fee. The balance of you deposit will be refunded. Cancellations made between 60 days and 30 days of check-in will result in forfeiture of total deposit. Cancellations made less that 30 days before check-in will result lose of your total payment.